I used to think all supplements were a waste of money. I’ve revised that position after a lot of research. I now believe we should find out where we are deficient and supplement as needed to get our levels at least to the minimum standards. The skin makes Vitamin D from UVB sun rays but 70% of Americans don’t get enough. Either from use of sunblock, having dark skin, having too much body fat (it stores Vitamin D) or living at altitudes where UVB rays are less than ideal. Another knock on getting older…a 70 year old can only use 25% of the same amount of Vitamin D as a 25 year old. Through 23andme.com, I found out why my Vitamin D levels were so low on my blood tests in 2013 and 2014. I don’t convert Vitamin D made in my skin to the steroid hormone version very well. This was a wake up call to follow my doctor’s advice and start supplementing. My blood work showed I had Vit D levels in the low 30’s. I believe 40-60 ng/dl is closer to ideal based upon Rhonda Patrick’s work. Risk of death is lowest in this range. Rhonda says that every 1000 IU ingested of Vitamin D in pill form raises blood levels by 5 ng/dl. This actually seems to be right on as I’ve been taking 4,000 IU Vitamin D daily consistently in 2015 and my levels are now in the low 50’s. I’m not entirely sold on the brand I take, Kirkland. I will probably change brand next time I reorder but it appears to be working. The experts agree that Omega-3’s are critical to good health. We cannot produce them internally so we ned to ingest them. There are 3 Omega-3 fatty acids…ALA, EPA, and DHA. We get ALA’s in walnuts, soybeans, and flax seeds. Not that hard to get these. EPA and DHA actually come from plankton, but we get them mostly from fatty fish because they accumulate in the fish tissues (from eating plankton). Not many of us eat enough fish to get the recommended amount. If I still lived in Seattle, I would probably eat enough Salmon to cover my bases. But having lived there and working in a Salmon restaurant through college, I just can’t eat salmon in Missouri. It’s probably like going to Canada for a good steak. It’s just not going to happen. The recommended amount of EPA and DHA is 1,200mg/day but this number is likely low. There doesn’t appear to be much of a ceiling on intake although don’t go crazy on it. Even water will kill you if you drink enough. My college roommates felt the same about Britney Spears’ music but I can happily attest that’s not the case. I personally take 2300mg EPA and 740mg DHA each day. That is done through 2 capsules from Nordic Naturals Pro EPA Xtra and 2 capsules from Now Neptune Krill 1000. The EPA and DHA in Krill oil gets to the brain much easier (it’s more bioavailable) than than that from fish oil. 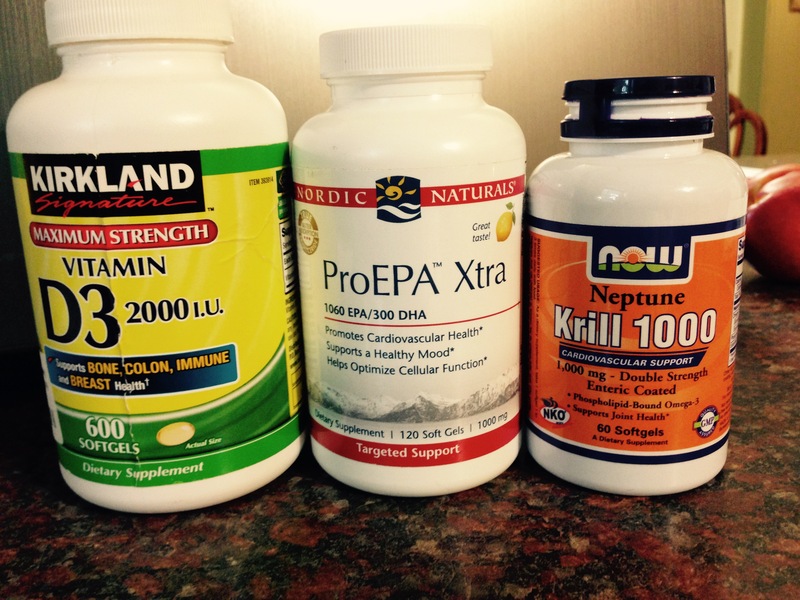 I feel like I’m covering my bases by getting EPA and DHA from both sources. 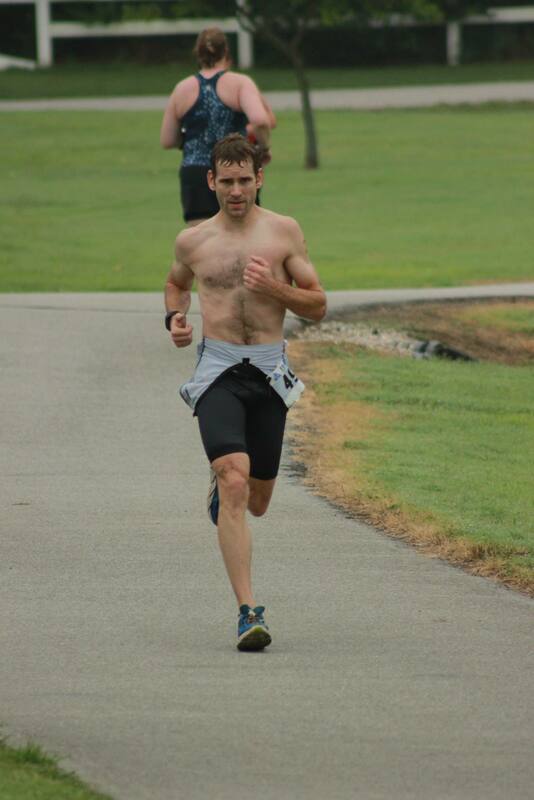 My racing results in 2015 have been off the charts…my fastest mile (4:55) and 5K (17:30) times in 12 years, I won our local obstacle run again and won the Double division at our local sprint triathlon last weekend. I also feel like I’m maintaining my muscle mass better than in previous years. I’ve not made any significant gains in overcoming my gait problems. I’m lifting the same number of times per week. Could it be that bringing my Vit D and Omega-3 levels up significantly is contributing in some way to these faster times? Maybe via less inflammation? I don’t know but I feel really good about what I’m taking. Maybe you should consider getting your blood tested and look for deficiencies as well. Unless you are in the male 35-39 age group. In that case, eat more ice cream. ← The Most Gullible Person In The World?